Quelle joie d’être le témoin avec ma caméra de cette expérience d’envol, parce que c’est bien de cela dont il s’agit, plus qu’une voie juste et capable de prouesses il est question d’envol du soi, ce que la « méthode Robin » permet aussi. Une version longue du documentaire est en cours avec des interviews plus complets. A passion for singing and sharing the fun of it led to the idea of making this video about rank amateur singers getting a blitz of lessons in the finest singing technique possible. In less than six weeks, the singers went from avoiding singing at all costs to singing with a voice they could never have imagined they had. This technique is lifechanging because it is based on joy and relaxation. Little else is more effective than these two beneficial elements for freeing any voice trapped in fear and tension, and it works for everyone who tries it. 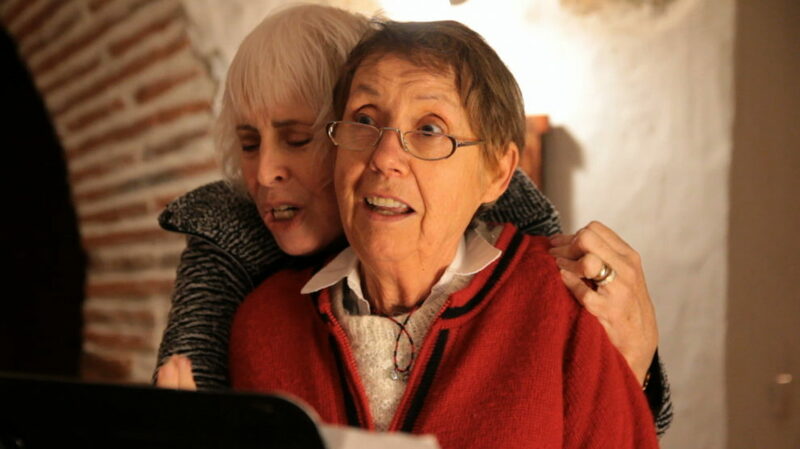 By their willingness to try to sing with quality, they gained so much – overcoming fear and deepening their confidence. They are nowhere near finished, of course, but they are all convinced this has been the one of the great experiences of their lives. Robin Hendrix has researched the old books on singing written in the age of Caruso and Tetrazzini. The basic technique is logical and easy to understand, and you’ll find the details in the book « How to Sing Like the Great Singers, » by Robin Hendrix, available on Amazon.com. Créations au service des arts, de la culture, du social et de l’humain, du local et de la communauté et d’une certaine beauté du monde. Vidéo, sites web & Photos depuis 1999.